FAQ: How is LTE-Advanced different from regular LTE? Just as many consumers are getting their first taste of speedy 4G LTE connections, carriers around the globe have begun pouring resources into building LTE-Advanced networks, which promise even faster and more reliable mobile access. If you’re finding yourself confused by the alphabet soup of acronyms and technobabble, take heart: You are not alone. Let us help you with your many, many questions. What is this LTE-Advanced I’ve been hearing about? And how is it different from my LTE network? LTE stands for “long term evolution.” It’s a type of wireless technology that has taken hold throughout North America and is fast becoming a global standard. LTE-Advanced (LTE-A) is an emerging and, as the name suggests, a more advanced set of standards and technologies that will be able to deliver bigger and speedier wireless-data payloads. The most important thing to know is that LTE-A promises to deliver true 4G speeds, unlike current LTE networks. You can expect the real-world speed of LTE-A to be two to three times faster than today’s LTE. It should also be robust, with fewer dropped connections as you move around. Having more users on wireless networks means that the infrastructure needs to advance to accommodate them all. My phone isn’t really 4G? Although the term “4G” is an official yet nonbinding standard set by bodies such as the International Telecommuncation Union, it has since been commandeered by wireless-carrier marketing departments. What most carriers refer to as “4G” today is perhaps more accurately called “super 3G.” It satisfies some of the 4G requirements that the ITU set, but not all of them. Don’t worry, by the time LTE-Advanced rolls out, carriers will almost certainly start calling it “5G,” even though at that point they’ll have just finally met the threshold to legitimately call their networks “4G.” Standards bodies such as the ITU are only now beginning to talk about what a 5G network might look like, and there’s definitely no agreed-upon definition yet. Well, what is “true 4G”? To be considered true 4G (also known as “IMT-Advanced”), a mobile network must fulfill a number of benchmarks, including offering a peak data rate of at least 100 megabits per second when a user moves through the network at high speeds, such as in a car or train, and 1 gigabit per second when the user is in a fixed position. No commercial wireless network can deliver that yet. The standard also covers a bunch of other technical stuff: True LTE has to be based on a fully Internet Protocol packet-switched network, and it needs to have scalable channel bandwidth, specific Quality of Service goals, spectral efficiency targets, and the like. The LTE we use today offers some of those things, but not all of them. Am I at least getting something near true 4G speeds? Today, a mobile user in North America on a 4G LTE network can expect top download speeds of 13 mbps around large-population areas, as we discovered in our recent barrage of cross-continental network tests. Wow. 13 mbps is a lot less than 100 mbps, huh? Don’t let your carrier’s lies get you down. Indeed. The good news is that for most people’s mobile tasks, such performance is more than sufficient. Unless you’re streaming 4K Ultra HD video, current networks will easily handle all your Instagram-uploading, Spotify-streaming, and Snapchat-sending needs. Besides, the 100-mbps minimum requirement is sort of a best-case scenario in the lab. Real-world LTE-A speeds are more likely to be in the range of 30 to 40 mbps on average. That’s not nearly 100, but it’s still a lot faster than what we have today. Is LTE-A really that much better? It promises to deliver download speeds of up to 3 gbps for fixed wireless installations. That’s a theoretical maximum, though. LTE-A’s benefits are about more than just speed. LTE-A will enable smoother “handoffs” when traveling between cells, so you won’t lose your connection so much. And it packs more speed into the same amount of spectrum, which should allow more people to access the network at once. We’re going to need that extra capacity, too, as everything from cars to slow cookers becomes connected. So, how does LTE-A work? LTE-A incorporates of a number of techniques and technologies (hardware and software) that work in concert to meet higher network-performance standards. For all the in-depth techno-details, check out a list of the techniques involved. Many technologies make up LTE-A. It’s not just one thing. But common themes include the ability to squeeze more bits into each megahertz of frequency, to bind together separate frequency bands, to make better use of multiple antennas, and to make better use of radio base stations and cells to provide broader coverage. Although Sprint (the carrier that came in dead last in our most recent round of nationwide speed tests) is not using the LTE-A label, it is rolling out a new service called Sprint Spark that will allow devices to access three separate bandwidths of LTE at the same time. This stitching together of LTE bands, known as “carrier aggregation,” is one of the techniques that LTE-A encompasses. Sprint claims that its new technology will offer speeds as fast as 50 to 60 mbps, and the carrier has even seen peak speeds of 1.3 gbps under lab conditions. It’s important to note that a full LTE-A network won’t just appear magically one day—companies will have to implement it over time, in stages. Will I need to buy a new LTE-A phone? LTE-A hasn’t been deployed at all yet beyond a few test locations in other countries. But once the technology is in place, you will need a new device to get those high speeds. Fortunately LTE-A is both backward- and forward-compatible, so a regular LTE phone such as the one you have now will be able to access an LTE-A network. You just won’t get all the LTE-A benefits of enhanced speed and better coverage. Think of LTE-A as a set of upgrades to LTE. Carriers are likely to improve their existing LTE networks one technology at a time, and the decision on when to start calling the result “LTE Advanced” or “5G” will probably fall to the marketing department. But don’t start thinking about ditching your current phone quite yet. We still have a while until LTE-A phones are ready on a mass scale. Most people get a new phone only every couple of years anyway. Where will LTE-A be available first? 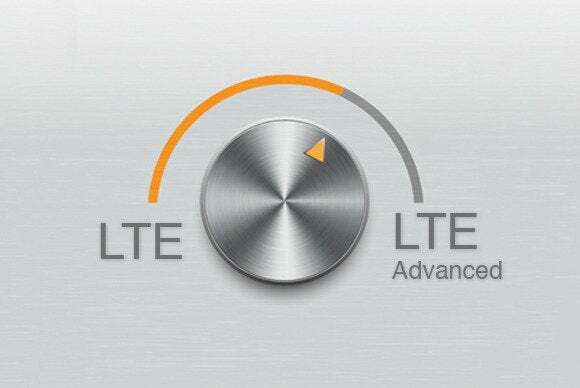 Several European and Asian carriers are already implementing test launches of LTE-A networks. In conjunction, some limited overseas releases of LTE-Advanced phones have already begun to pop up. Are carriers working on it in the United States? Both AT&T and Verizon have expressed their commitment to building LTE-A networks, though neither company has announced firm deadlines or plans. The big carriers are all scrambling to acquire unused wireless bandwidth. These additional patches of spectrum can help to beef up existing LTE networks, but theoretically they might also serve in a future LTE-A infrastructure. Okay, sounds good. Sign me up. When will LTE-A be available here? We’d be lucky to see even a test rollout in a few markets this year, honestly. Small-scale rollouts might happen in 2015. ABI Research predicts that there will be 500 million LTE-A subscriptions by 2018. It’s hard to pin down a date because the carriers are adding features to their LTE networks bit by bit. Phones and networks will continue to improve, though, and sometime in the next two or three years you’ll probably buy one with “5G” or “LTE-Advanced” imprinted on it. This story, "FAQ: How is LTE-Advanced different from regular LTE?" was originally published by TechHive.